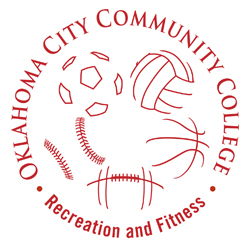 It is not too late to sign up for intramural basketball at OCCC, said Eric Watson, OCCC sports specialist. Watson said his focus right now is to get the college’s basketball program up and running. Many factors have led to the delay of the intramural basketball league, he said. “We are contacting the basketball captains and informing them that we are in the process of allowing more time for teams to get enough players,” Watson said. He said the weather was a main contributing factor to the slow formation of the basketball league. Students wanting to play intramural basketball can go to www.imleagues.com/Schools/OCCC/Registration  to register and sign up as a free agent, or join an already existing team, Watson said. Right now, Watson said, there are three teams available to join — Make it Drizzle with six players, the Crusaders and In Dub See with two players each, according to the website. Intramural basketball is not the only activity affected by the inclement weather, Watson said. He said the OCCC soccer team also was unable to form a team for the spring season. Watson said there are not enough players to form a team. He said the team will still practice and train during the spring and plan for the fall season. The weather has pushed back team meetings for all other intramural sports as well, Watson said. All students interested in intramurals soccer should go to www.imleagues.com to register for the soccer team, or call soccer club coach K.B. Yeboah at 405-255-7735.